Please contact Angela for more information on teaching at your guild or shop. A limited number of spots are available per year for Angela to travel and teach. 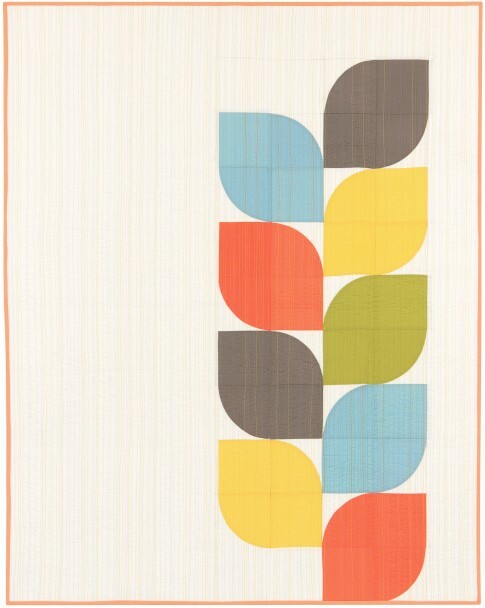 Adorla Quilt – A pattern designed by Angela available for free from Robert Kaufman’s website. 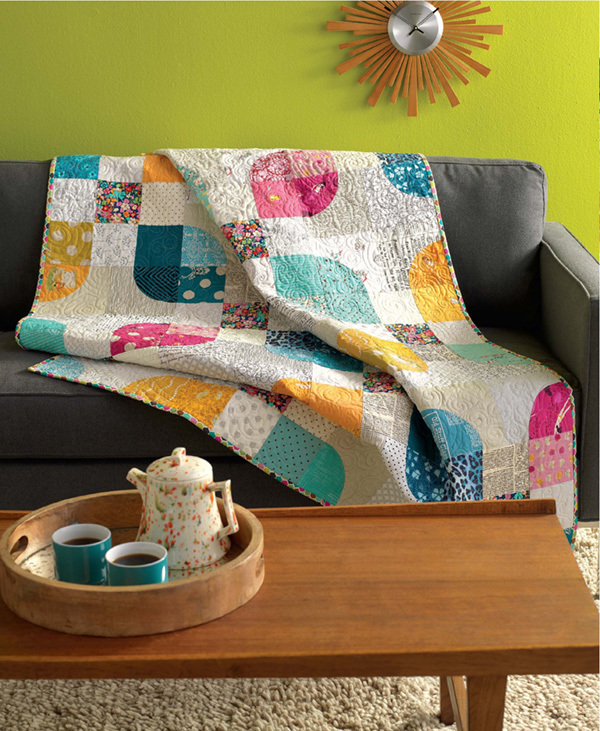 This quilt combines a clever use of a few Drunkard’s Path blocks and squares, along with lots of negative space, for a unique modern petal design. 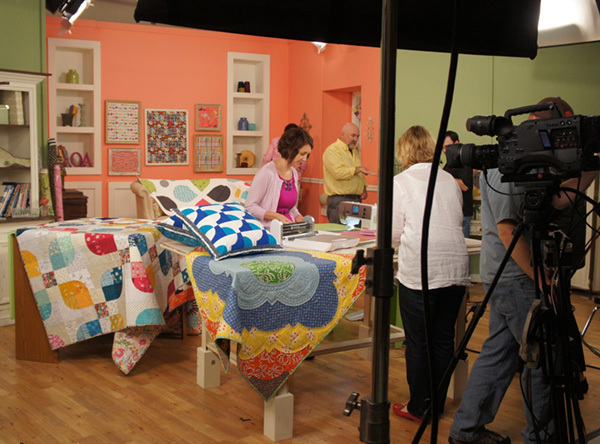 This class is appropriate for all level of quilters. Class time is approximately 5 hours. 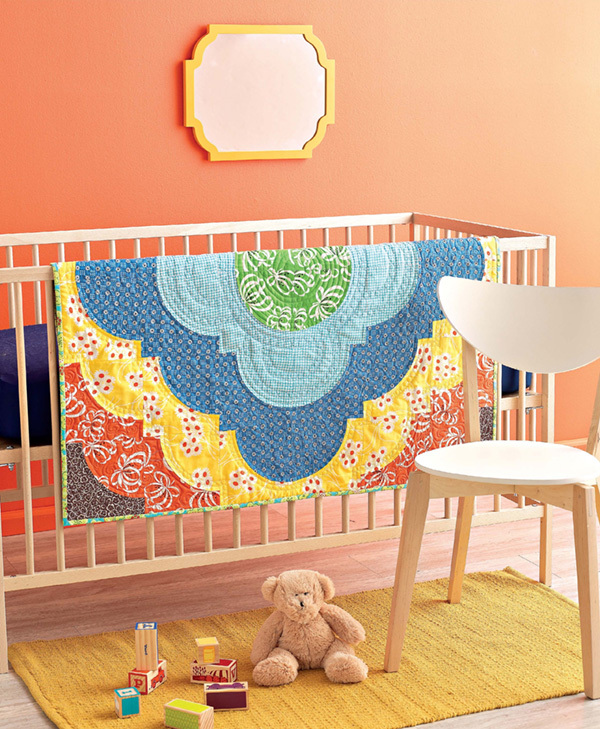 Other quilt designs are offered upon request and agreement by Angela. Angela Pingel: Cutting it all to Pieces – This is a lecture that tells the story of Angela’s journey through the sewing and quilting world from childhood to present. The lecture concludes with a trunk show of Angela’s quilts from her book and beyond. (A projector and computer are required). Length is approximately 45 min – 1 hr. 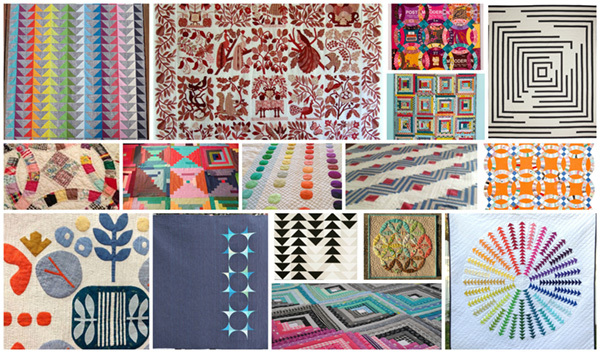 From Vintage to Modern: Quilt Design Unfolded – This is a lecture that explores quilting from three different perspectives, the Traditional Quilter, The Modern Quilter, and the Abstract Quilter. Each Style is viewed through the creation and use of 5 different quilt blocks and techniques: The Log Cabin, Flying Geese, Drunkard’s Path, Double Wedding Ring, and Needle Turn Applique. (A projector with new bulb and computer are required). Length is approximately 1 hr.